Shaken, not mixed James Bond`s drink is perfect for entry into the New Year. 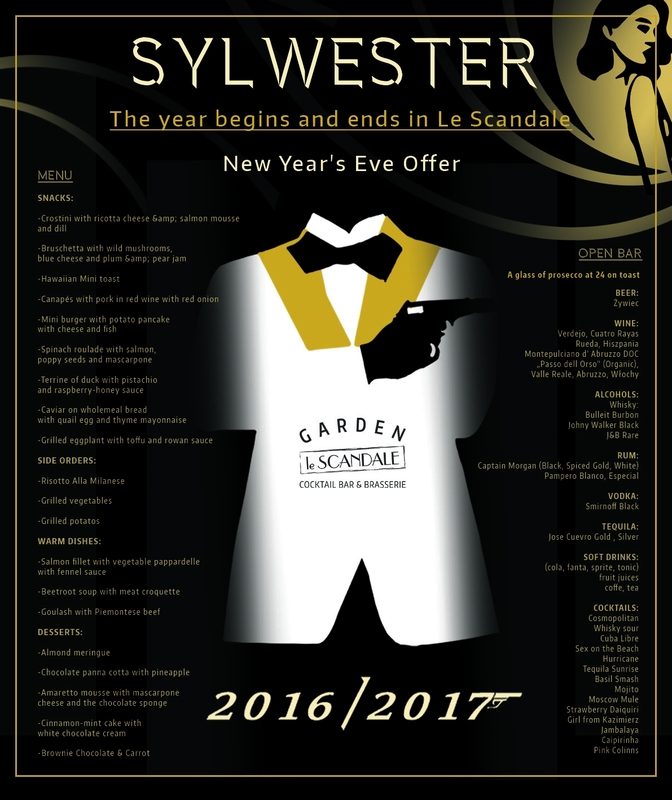 New Year's Eve 2016/17 in Le Scandale is an event straight from the films about the Agent of Her Majesty. 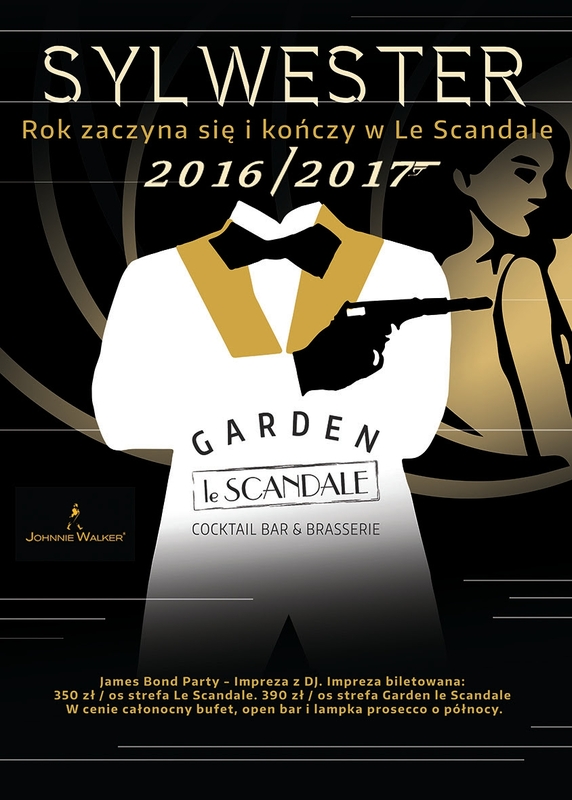 Elegant ladies in cocktail dresses, handsome gentlemen in classic suits, delicious alcohol, eloquent humor and fun - you will find all these elements during the event in Kazimierz district.